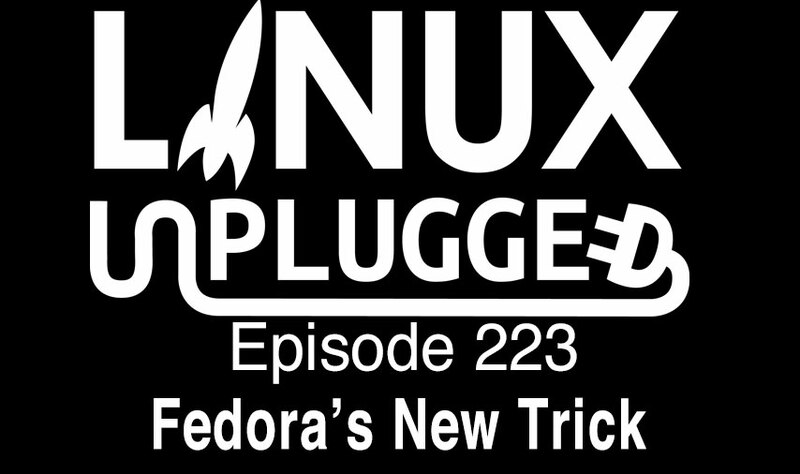 A new version of Fedora hits the web and we share our thoughts & chat with a member of the project, Noah joins us to answer your live calls & we’re all excited about Firefox’s new quantum release. Plus Gnome 4’s ambitious goals, a new Linux Kernel that really matters, OpenShot woes & more! Firefox Quantum is roughly 2X faster than Firefox 49 on the Speedometer 2.0 benchmark, thanks to its new CSS engine, its “just right” multi-process architecture, the way it prioritizes your active tab, and much more,” reads the preliminary release notes for Firefox 57.0 beta. Red Hat took a pragmatic approach to Arm servers by helping to drive open standards and develop communities of customers, partners and a broad ecosystem. Our goal was to develop a single operating platform across multiple 64-bit ARMv8-A server-class SoCs from various suppliers while using the same sources to build user functionality and consistent feature set that enables customers to deploy across a range of server implementations while maintaining application compatibility. In 2015, we introduced a Development Preview of the operating system to silicon partners, such as Cavium and Qualcomm, and OEM partners, like HPE, that designed and built systems based on a 64-bit Arm architecture. A great example of this collaboration was the advanced technology demonstration by HPE, Cavium, and Red Hat at the International Supercomputing conference in June 2017. That prototype solution became part of HPE’s Apollo 70 system, announced today. If you are attending SuperComputing17 this week, please stop by Red Hat’s booth (#1763) to learn more about this new system. The cores are 64-bit only, and are grouped into duplexes – pairs of cores with a shared 512KB of L2 cache, and the top end design will also have 60 MB of L3 cache. The full design has 6 channels of DDR4 (Supporting up to 768 GB) with 32 PCIe Gen 3.0 lanes, support for Arm Trustzone, and all within a TDP of 120W and for $1995. Linux 4.14 features a number of new features and changes, and is set to become the next long term support (LTS) release backed by several years of ongoing maintenance and support. Among the big changes OpenShot 2.4.1 features is improved image quality. You should now see sharper images in the preview window when editing thanks to an “improved image processing pipeline”. There’s also improved playback smoothness when working with high frame-rate videos at 50fps, 60fps, and 120fps. Jonas Adahl of Red Hat has volleyed his initial proposals for how a “future” GNOME Shell could be architected on a page entitled GNOME Shell 4. This GNOME Shell 4 would potentially break compatibility with GNOME Shell 3 extensions while being more designed around Wayland rather than X11. This week we interview James Nugent, a software developer from Bath, England. He currently works in engineering at Joyent, an open source public cloud company recently acquired by Samsung Electronics. Previously, James was a core contributor at HashiCorp building operations tooling, and Event Store LLP, which produces an open source stream database with a built in projections system. For a comprehensive breakdown of the episode and showlinks take a look at the shownotes below or by clicking the episode title. Gnome 3.26. This brings a new and improved Builder IDE to bear for developers, providing a new interface, contextual popups, improved search functions and a new debugger. GNOME 3.26 adds support for fractional scaling for high DPI screens. Both the Display and Network configuration panels have been updated, along with the overall Settings panel appearance improvement. TRIM support for encrypted disks which enhances the performance of Fedora Workstation on solid-state drives (SSDs). Pipewire. Our new media handling deamon. It will be used in Fedora Workstation 27 to handle screen sharing and screen capture under GNOME Shell. 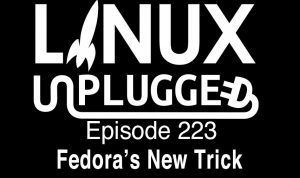 Fedora 27 Workstation is the latest release of our free, leading-edge operating system. You can download it from the official website here right now. There are several new and noteworthy changes in Fedora Workstation. We’ve all seen it plastered on the national news these last two years. The encryption debate between tech companies and civilians wanting to keep their data private is being weighed against the government’s desire to gain access to anything and everything they can in the hunt to stop terrorists. Anyone besides me ever notice it’s always “terrorists,” not just criminals? Anyway, the thought occurred to me late last night to look at the argument another way and see what I’d feel about it. It’s not a hard decision for me, personally. I’m firmly ensconced on the side of a person’s right to privacy over some government’s desire to monitor its citizens. Still, maybe it’s worth trying to have the conversation another way. Let’s take the technology out of it and consider the idea as it would relate to the rights of privacy of the individual. I didn’t intend it this way, but the list above shows you can literally tell Who, What, When and Where some suspect was doing something. The only thing you can’t definitively tell is the “why” of it all. We assume the why factor is able to be extrapolated from the other four to provide a complete picture of the terror suspect’s life.